When I was 5 I walked up Ben Lomond, it took me 5 hours to reach the summit, I climbed almost a Kilometer up or 974 meters to be precise. 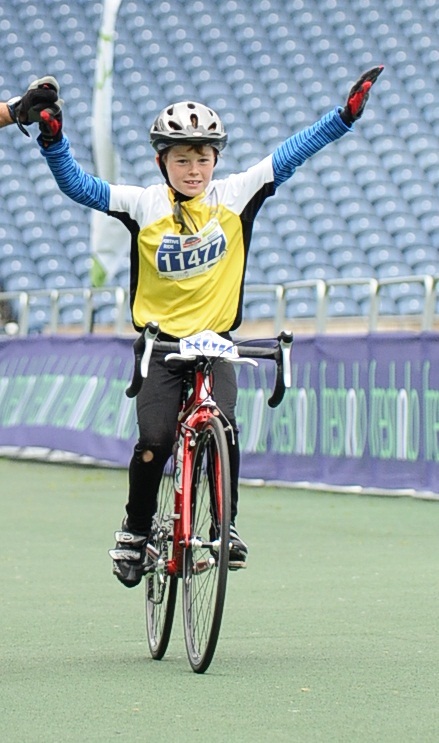 That was my first big achievement, the second was riding the 55 mile Pedal 4 Scotland challenge ride aged 5. This made headlines on the newspapers and I even got on the TV. This was in the same year as Ben Lomond but it was in September whereas Ben Lomond was in July. My third big achievement was climbing Ben Nevis I did this when I was 10, it took me 3 hours to climb up the 1337 meters vertical assent and 3 hours coming down. My forth and best achievement so far has got to be when I cycled 110 miles in 9 hours for the Pedal 4 Scotland Sportive ride. This inspired my sister Beatrix to do the same but at 9 years of age. I made headlines doing this ride but not as much as when I did the 55 mile ride. By the way I wanted to all these things so don’t go on about pushey parents, my mum and dad were just doing what I wanted which I think was just really nice. 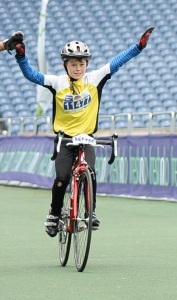 This is a YouTube video of my Pedal 4 Scotland 55 mile challange. This is me having finished the 110 mile Sportive. This is a Youtube video of my 110 mile sportive ride, at 10.